Orange Beaded Evening Purse. 1960s. No maker tag. 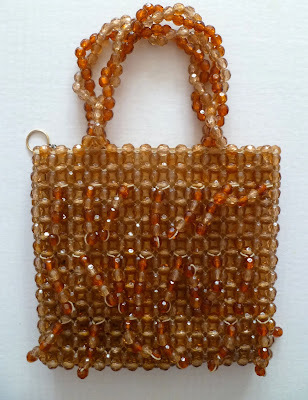 Very pretty and very heavy (for its size) square evening bag with woven together dark and light orange beads. There are also dangles consisting of five beads hanging from it on both sides. No maker name but there is a label that says “Hand Made in Hong Kong.” Twisted beaded handle. Metal zipper. Lined in rayon. 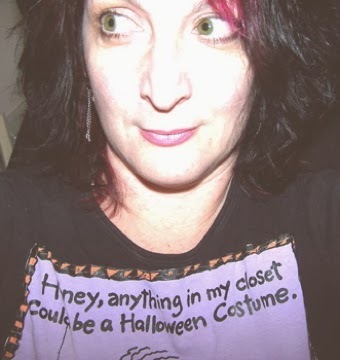 Out of my entire collection, this was the most holiday-appropriate, pumpkin-like purse I could find for Halloween. My clothes, however, are a different story.